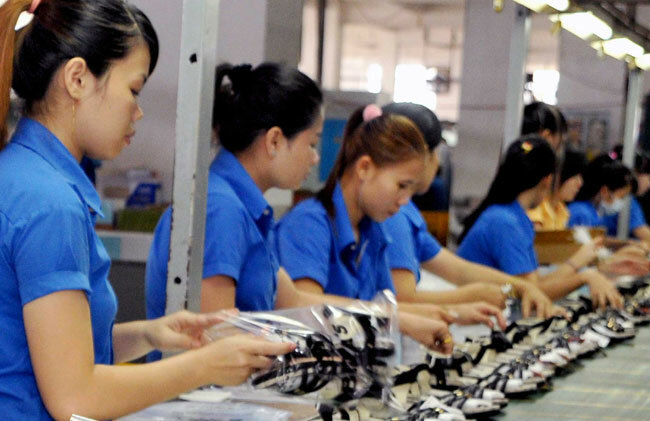 HA NOI (VNS) — Viet Nam aims to achieve an average annual export growth rate of 11 to 12 per cent during the 2015-20 period to achieve US$300 billion in export value by 2020. This is part of the plan on the export market development by 2020, with a vision towards 2030, which the government has approved, the Government's news portal chinhphu.vn reported. Under the plan, Viet Nam will consolidate and expand the market shares of its products in traditional markets such as the Southeast Asian region, the Northeast Asian region (Japan, the Republic of Korea), China and Australia, as well as the US, the EU, Russia and Eastern European countries, besides Canada and India. The nation will also diversify export markets and expand to new markets with high potential in Africa and the Middle East as well as Latin America. It will limit its dependence to some key export markets to reduce the risks from concentrating on exports to the markets. Viet Nam will enhance trade promotion activities in both traditional and potential markets and participate closely in distribution channels in regional markets, especially in America and Europe. According to the plan, the country will take advantage of free trade agreements (FTAs) to promote exports and improve the efficiency of Vietnamese exports. It will speed up bilateral and multilateral trade negotiations to create good conditions for shipping key export products to the world market, as well as to attract more foreign investment and modern technology for improving the competitive ability of local products. To achieve these targets, the government will assist enterprises in participating in trade promotion activities in foreign markets, especially annual fairs, for connecting with distribution channels and foreign partners in key markets. In addition, Viet Nam will build and advertise Vietnamese brands for the sustainable development of their exports in the future. Market research and trade promotion activities will be developed to increase Vietnamese exports to new markets such as Africa, Latin America, North Europe and Eastern Europe, as well as Northeastern Asia and some states in the US. The plan includes the development of groups of key export markets and products for certain periods to expand and maintain the stability of export markets of Vietnamese products. Meanwhile, the State will provide incentives and support to Vietnamese enterprises that join foreign production and distribution networks.